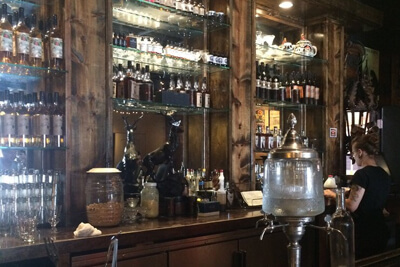 Golden Moon Speakeasy is a fantastic speakeasy style cocktail lounge and distillery tasting room that is located directly in the heart of the beautiful Golden, Colorado. Their menu features a wide range of remarkable cocktails from classic to modern craft cocktails, as well as pre-prohibition style punches and long drinks which will transport you to another time. Each and every drink has been made solely with spirits made by Golden Moon Distillery. In addition to delicious drinks they also offer cheese, charcuterie, and caviar service, as well as live music several days throughout the week, and they sell all Golden Moon Products by the bottle. Abejas is a hip restaurant that you are sure to absolutely love. They offer a simple and natural atmosphere with remarkable decor that you are sure to love. Their selection of specialty cocktails is sure to absolutely blow you away. Each drink is absolutely fantastic and you are sure to be blown away no matter what. Even their wine and beer list is absolutely spectacular. And if you like the drinks then you will absolutely fall head over heels for the food menu. 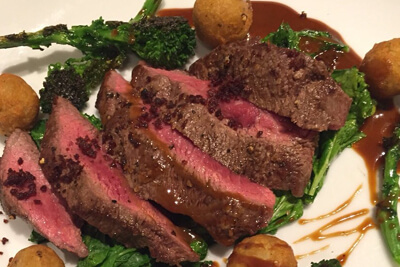 With Roasted Beet & Plum entrees, Flat Iron Steaks, and delectable desserts to choose from, you won't be able to say no! 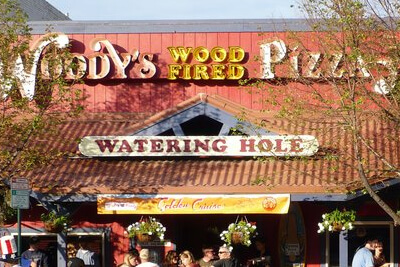 Offering an absolutely fantastic all you can eat wood fired pizza buffet, Woody's Wood-Fired Pizza & Watering Hole is the best of both worlds--quality and quantity. In addition to pizza in their buffet, they also serve soups, salads, and beyond--all for only $10! But the fun doesn't end there! They have 15 HDTVs that are great for catching your favorite Bronco's Game, weekday happy hour, 14 local beers on a rotating tap. If you're not in the mood for pizza, then you will love their juicy burgers, tender wings, expertly crafted sandwiches, or crisp salads! They have been a staple in the Golden area for over twenty years, and as long as they keep up their fantastic customer service and quality, they will be here to stay for a long, long time! 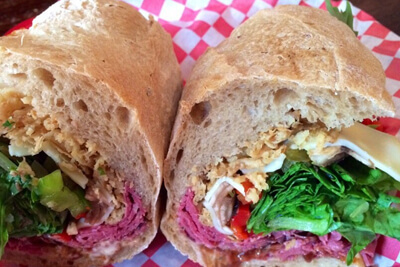 An absolutely spectacular, old fashioned sandwich shop located directly in the heart of Downtown Golden, you will love every single aspect of D'deli. From the friendly staff, to the smells of the freshly baked bread, to the low key atmosphere, to the absolutely fantastic award winning sandwiches, filled to the brim with your choice of over 120 ingredients which are all the most fresh and locally sourced possible ingredients, including the corned buffalo and the smoked elk. The folks at D'deli take great pride in their ingredients and the local suppliers that they get their ingredients from, as well as the strong personal bonds that they have forged with their customers, neighbors, and local businesses! 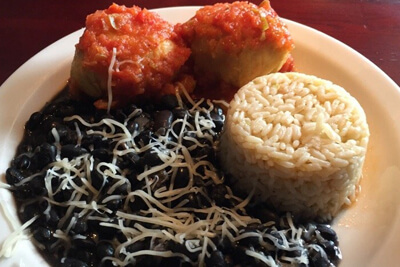 Elote's Cafe is a comfortable, fresh, healthy, and delicious cafe that specializes in New Age Latin Cuisine. It is located, conveniently in Golden, and serves an eclectic fusion of Latin-American, European, and all sorts of fantastic global cuisines. Whether you are looking to enjoy a meal, a coffee drink, or a spot in the bar area, Elote's Cafe is the place for you. They have a great selection of meals such as Arepas, Empanadas, Burritos, Quesadillas, Sopes, and so on. They frequent a unique entree each and every day that will keep you coming back to try some more each and every time. If you're looking for something delicious, healthy, and filling, then Elote's Cafe is definitely the place for you to try! Burger lovers beware! 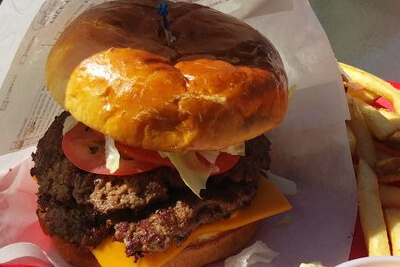 Your current favorite burger joint has suddenly just become your favorites. We are that confident about how much you are going to love your burger at Bob's Atomic Burgers. Thousands of satisfied customers can't be wrong! Bob's Atomic Burgers is a beloved locally owned and operated burger joint on Ford Street that you are sure to absolutely love. Their goal is to provide their customers, the community of Golden, and the world with the most fresh, high quality food and service at reasonably prices. They take great pride in the food that they serve, and the people who they employ. You will not find a single unhappy employee at Bob's Atomic Burgers, which extends to the way the customers are treated. Bob's Atomic Burgers is more than just a burger joint--it's a family!